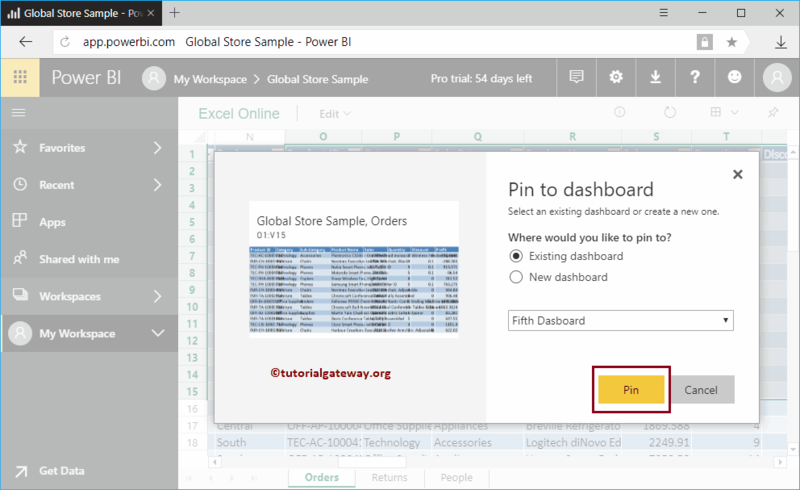 In this article, we will show you the step by step approach to pin workbooks to Power BI dashboard with practical example. 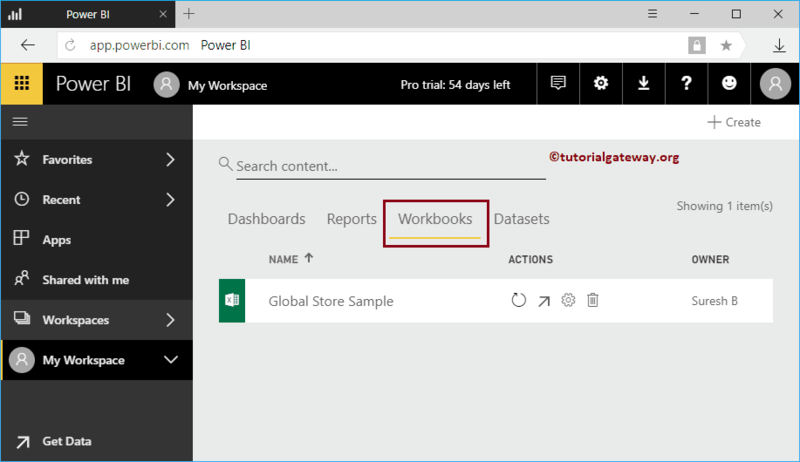 Before we start pinning the Workbooks, let me show you the list of workbooks in my Power BI workspace. As you can see from the below screenshot, these is only one workbook. I suggest you to refer Upload Workbooks article to understand the process of uploading this file. In this example, we are going to use this Workbook. Please click on this report to see the data inside this workbook. 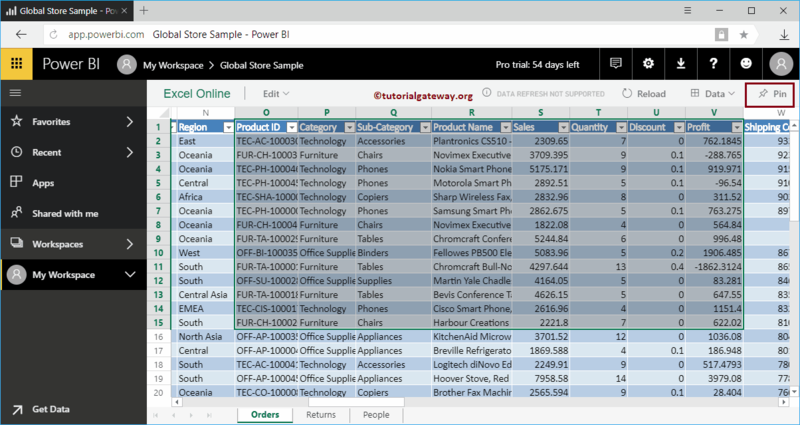 You can see, it is displaying the Excel Online. 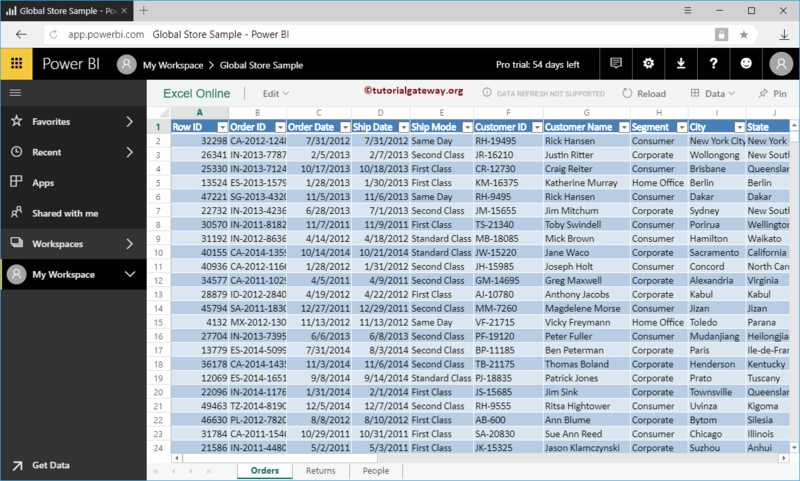 You can pin this data by using your cursor to select the required Rows, and Columns. Let me select first 15 rows, and 8 columns. Next, click the Pin button to pin them to dashboard. Clicking that Pin button will open the following window. 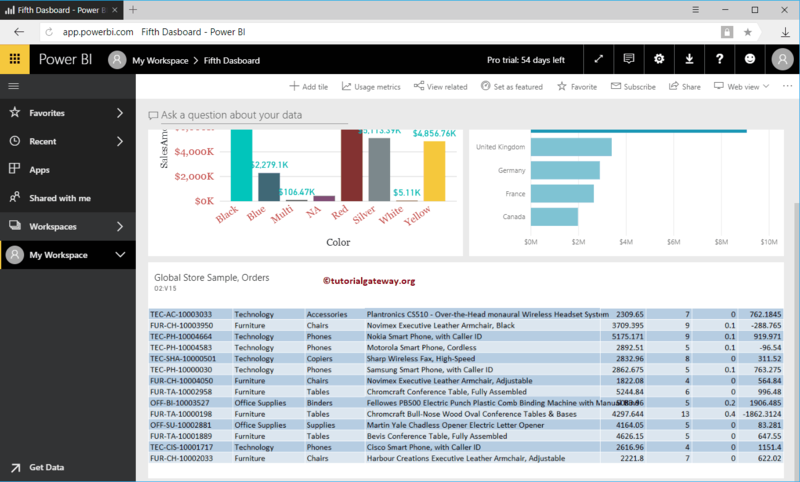 Existing dashboard: Select this option to add this Data to an existing dashboard. 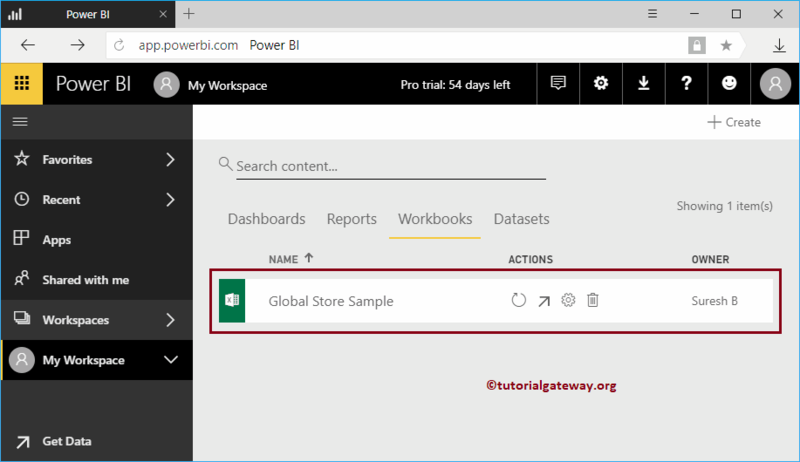 New Dashboard: Select this option to create a new dashboard for this workbook data. Within the Fifth dashboard, you can see the Excel Workbook data that we selected and Pinned earlier.